At its heart, the lovely novel Sugarbread is the story of Pin, her mother and grandmother, secrets and inter-generational cultural change. It’s the story of how a Sikh family navigates the racial landscape in Singapore, of how girls and women rise up against the patriarchy daily, and how class infuses all aspects of life, even in the seemingly wealthy city-state. Jaswal’s was named the Best Young Australian Novelist of the Year in 2014 by the Sydney Morning Herald, and this is her second novel (her first was Inheritance). It’s 1990 and 10-year-old Pin lives with her withdrawn but elegant mother and hotel-security guard father. Pin wonders why her mother, whom she adores, repeatedly tells her she must not grow up to be like her. When her grandmother comes to live with them in their tiny flat, Pin starts to learn something of her mother’s early life. The book shifts to 1967 and a very different Singapore, which lets us see just how very much has changed for both Pin’s immigrant grandmother and mother throughout their lives. Secrets were kept, and the results echo down generations. Food plays a deliciously central role in the novel thanks to Pin’s mother retreating to cook an array of foods as her solace. We see Singapore’s wet markets, where all of Singapore’s people really do come together, and Jaswal’s descriptions of various dishes from the various cultures of Singapore are salivation worthy. 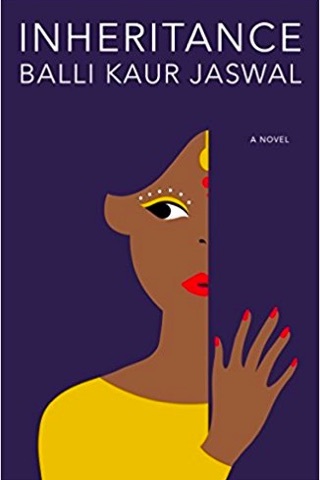 Race is also at the forefront of the novel, and Jaswal illuminates larger issues of multiculturalism often glossed over by Singaporean authorities by focusing in on the minutiae of daily life for Pin at her elite Christian school, which she attends on a scholarship, including racial taunts by her bus driver. This is a novel about cultural heritage and the challenge of acknowledging one’s history while also growing as an individual. The sugarbread of the title refers to a dish Pin creates for herself of toasted bread sprinkled with sugar; and as she does in the kitchen, Pin learns to do in life, acknowledging and embracing her heritage while also becoming her own person. Read Sugarbread for its poignant, sensitive portrayal of life in Singapore for a Sikh girl. And while the setting is evocatively Singaporean, in a sense this is a timeless and universal story of coming of age story, beautifully and compellingly wrought.